Hi guys! Today I’m going to show you how to make green eyes pop. I used my lovely friend Johanna as my model for this step by step post. Hope you like it! 1. Start by priming the eyelid and apply a white eyeshadow base. Apply a off white eyeshadow to the entire lid. 2. Apply a light purple colour to the outer part of the lid and blend in towards the off white eyeshadow. 3. 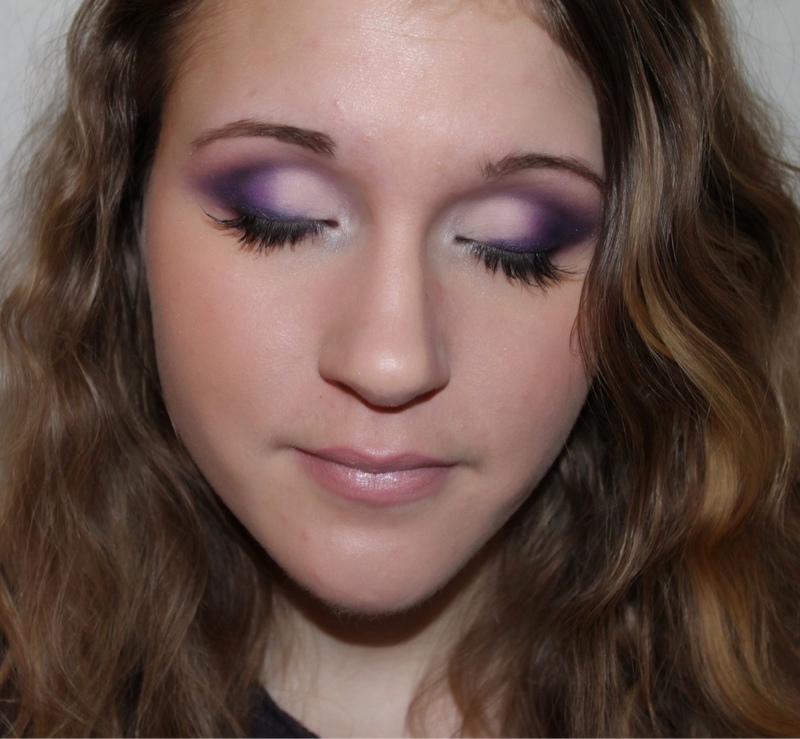 Add a matte deep purple colour to the outer V of the eye and blend! 4. 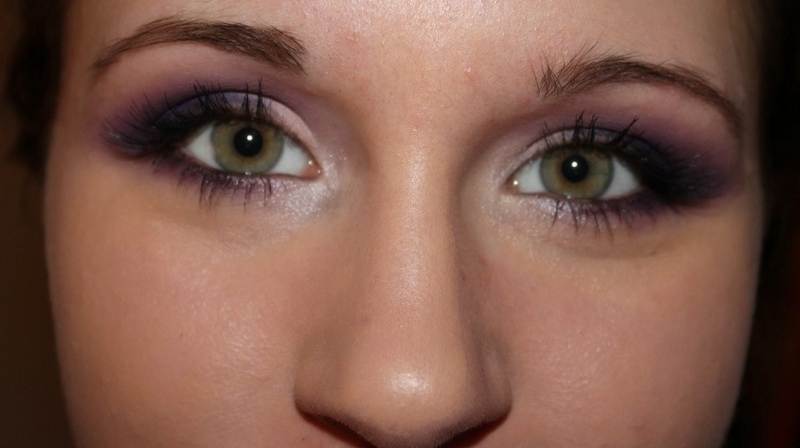 Line the upper lash line with a deep purple eyeliner. Smudge out the liner with a smudge brush. 5. Apply a light shimmery eyeshadow to the tear-duct area, then apply a deep purple eyeshadow to the lower lash line and smudge out the colour. 6. Line the waterline with a kohl pencil. Apply mascara or add some falsies and you’re done! Johanna’s eyelashes are extremely long and pretty (I’m so jealous),so I added some individual lashes in the outer corners to make her lashes look fuller! The purple eyeshadows really made Johanna’s green eyes pop and stand out. Some other colours that make green eyes stand out are coppers, bronzes, golds and taupes. Thank you Carina! Yes her lashes are to die for love em! I really like it – anything purple is good for me! Thank you! Yes purple is such a pretty colour! Thank you! Yeah her eyes are very pretty! Thanks for the awesome tutorial!!! Really good!! I don’t have the brush in photo n.4…I have to buy it, because it can be useful! Yes it’s a gel brush, but a pencil brush works just as fine! wow she looks amazing and those lashes are to die for. Beautiful and easy look! I use purple a lot since my eyes are hazel and change. I also throw some gold in there.